PWS research is examining many aspects of the syndrome, looking to further understand symptom causes, develop new management strategies and find potential treatments. Some of the latest research developments will be reported in the Research News section of our website, but information about some of the exciting, potential treatments raising ongoing, considerable hope can be found below. 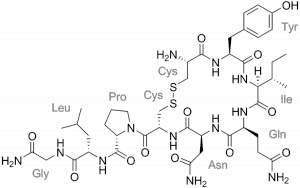 Oxytocin (OT) is a naturally occurring hormone released from the hypothalamus in the brain. It is associated with maternal care, bonding, feeding in infancy, social cognition, OCD, anxiety and appetite control. A reduction in the number of neurons that produce oxytocin and reduced oxytocin receptor (OTR) gene expression in PWS are believed to play a role in PWS psychopathology. It is suggested the disruption of oxytocin feedback in the hypothalamic paraventricular nucleus possibly influences vasopressin (AVP) signalling (another, related hypothalamic hormone). Use of OT administered via nasal spray as a therapy for improving behaviours is being actively studied in PWS and other conditions where altered OT pathways are associated with behaviour, such as autism spectrum disorder (ASD), Fragile X and Williams syndrome. Its potential as a treatment for PWS has generated much interest in the PWS community with an international fundraising effort taking place to specifically support the phase 2 oxytocin study by Drs. Jennifer Miller and Dan Driscoll at the University of Florida. However, early clinical trials of intranasal oxytocin in PWS produced conflicting results. The first, a pilot study by Dr. Tauber in France, 2011, trialled a single oxytocin dose in a small group of adults and observed a significant increase in trust and decreased sadness tendencies with less disruptive behaviour after 2 days. Hopes were raised that oxytocin may improve socialisation in PWS and longer term and dose-effect studies were recommended. A second study by Dr. Stewart Einfeld at The University of Sydney, 2014, looked at longer term treatment in adolescents and young adults. 30 families took part in this trial (including some from New Zealand), but the results found that oxytocin had little impact on any measure (behaviour, OCD tendencies, hyperphagia and sleepiness). An increase in temper outbursts was also observed with higher dose oxytocin. Researchers have remained optimistic because oxytocin signalling is very complex and it is believed that finding the correct formulation and dose may be crucial to the success of oxytocin therapy. The phase 1 study by Dr Miller et al at The University of Florida trialled OT in 24 children (5-11 years) and the results were encouraging. Improvements were observed in behaviour, social responsiveness and hyperphagia. They concluded, “The results from this study suggest that low dose intranasal oxytocin is safe for individuals with PWS and may result in reduction in appetite drive, and improvements in socialization, anxiety, and repetitive behaviors. Further long-term studies with a larger population of participants are necessary to confirm these findings.” Their phase 2 study is currently underway. Meanwhile, a similar phase 2 study trialling intranasal OT in 50 children and adolescents (5-17) is being conducted by Dr Eric Hollander and his team at The Albert Einstein College of Medicine in New York and is currently recruiting. They will be assessing affects of oxytocin on appetite, repetitive behaviours, quality of life, weight and body composition and measuring salivary oxytocin and hormone levels. A third, similar phase 2 trial by Dykens et al (sponsored by Ferring Pharmaceuticals) evaluated intranasal OT in a large group of children and adolescents (10-18) and was declared a success with clinically meaningful improvement in hyperphagia and associated compulsive behavioral symptoms compared to placebo. This trial is very interesting because a slightly different form of OT was used (FE992097) to specifically target only the OT receptor which may reduce impact on other systems, i.e. AVP signalling. (In comparison, the initial studies by Drs.Tauber, 2011, and Einfeld, 2014, used Syntocinon, a synthetic substance identical to natural oxytocin.) The rights to the Ferring Pharmaceuticals oxytocin-like drug, Carbetocin, have been purchased by Levo Therapeutics and a large scale phase 3 trial for LV-101 (carbetocin) is due to start in October 2018 with an estimated completion date of December 2020 (CARE-PWS). Levo Therapeutics is a company formed by the parent of child with PWS and is dedicated to advancing treatments for PWS and similar disorders. There is much excitement about Carbetocin because it was specifically designed to limit any potential unwanted side effects, it was well tolerated and it is the closest oxytocin-like therapeutic option to being approved for use in PWS. Dr. Tauber and her team in France are also conducting a phase 2 trial by expanding their initial OT trial in adults for a longer duration trial with multiple doses and using advanced brain imaging analysis. They aim to find the optimal schedule and dose for adults with PWS. There is still much to learn about oxytocin levels in PWS, the genetic variability of the oxytocin receptor gene, the impact of the OT system on the developing brain in PWS and why there are variable responses to oxytocin. Researchers believe we need these answers in order to effectively calculate dose and the optimal age for treatment. 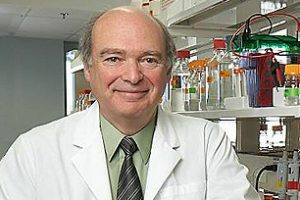 In 2015, FPWR funded further oxytocin research by Dr. Stewart Einfeld’s team in Sydney. One study aims to understand the true nature of the oxytocin abnormality associated with PWS which will help direct oxytocin or vasopressin interventions. They intend to discover if there are similarities with the reduced levels of 9-amino-acid active oxytocin and increased extended oxytocin found to be present in people with ASD. They also intend to find out more about the hypothesised suppressed oxytocin receptor which could make the OT system inactive, even when high levels of OT are administered. It’s possible that vasopressin receptors may be responding to administered oxytocin so they will measure plasma levels of the two forms of oxytocin vasopressin and DNA levels of the oxytocin gene. Dr Einfeld and his team are currently recruiting patients with and without PWS ages 13-30 years. A second study will investigate potential respiratory sinus arrhythmia abnormalities in PWS and how they may relate to emotional and behavioural problems and oxytocin / vasopressin abnormalities. Other studies being funded are the evaluation of factors that may affect the efficacy of intranasal oxytocin treatment in PWS by Dr Driscoll at the University of Florida and an exploration of the wake promoting effects of oxytocin by Dr Scammell at Harvard University. Research in France has focused on early alterations from birth in the OT system and pathways of OT receptors in the perinatal period. In 2015, a French research team led by Dr. Meziane published results of a study examining the OT system in mice deficient in Magel 2 genes (deficient genes associated with both PWS and autism, causing deficits in social recognition, interaction and a reduced learning ability) and found modifications of the OT system that change from birth to adulthood. Daily administration of OT in the first postnatal week was sufficient to prevent deficits in social behaviour and learning abilities in adult males, and partly restore a normal OT system. FPWR have funded a study by Dr. Muscatelli to further understand the relationship between the inactivation of Magel 2 and the alteration of the OT system and to investigate how an administration of oxytocin acts during brain development to allow a long term effect in Magel 2 deficient mice. This study will increase knowledge about adequate supplemental therapy in infancy and provide insight into effective OT administration at different points of the OT system maturation (infancy to adulthood). An exciting, recent discovery by Dr Tauber and her team confirm and extend the findings of Dr Meziane. They found that oxytocin improves feeding and social interaction in infants with PWS. 18 infants (age 3 wks to just under 6mths) were given oxytocin doses on different schedules and regardless of dose, all of the babies showed improvements in feeding skills with 88% being normalised after treatment. Some aspects of social behaviour also improved – measured facial expression, eye contact and interaction with parents. Brain scan images also revealed improved connectivity in the OFC brain region which is involved in emotional decision making. It is not yet clear if there is a long term impact of this early treatment and whether oxytocin has a ‘rescue’ effect, but this is an area of interest for further study. It is hoped that the combined knowledge gained from these past and ongoing trials will refine understanding of the potential of oxytocin therapy and determine most effective use of oxytocin in children and adults with PWS. If benefit is clearly proven, multiple trials confirming this will help support approval (and the subsequent funding) of oxytocin for PWS in New Zealand. It is important to note that trials are in early stages and we forward caution about purchasing and using available forms of oxytocin before more is known about dose and safety. Gene therapy alters DNA and remains an experimental technique in the world of medical research with very few treatments approved for medical use worldwide, but it is hoped that gene therapy techniques will be used in the future to treat disorders without the need for drugs or surgery. PWS researchers are actively investigating gene therapy to target mutated or defective cells and they are also attempting to reactivate genes on the maternal chromosome 15. Normally, the paternal chromosome 15 has the set of genes linked to PWS switched on while the same set of genes on the maternal chromosome 15 are switched off. In PWS, those paternal genes are missing or unexpressed and patients only have the switched off genes from the mother’s chromosome 15. The idea of switching on the silent genes on the maternal chromosome 15 has been discussed and investigated for many years, but with the development of PWS stem cells in 2010 and the advanced knowledge of research teams, the possibility of this becoming a potential future therapy is starting to look much more promising. Activating these genes has the potential to restore normal cell function and might improve clinical characteristics. Several research teams are making exciting progress in this area: Dr Yong-hui Jiang’s team at Duke University, Dr Marc Lalande’s team at the University of Connecticut, Dr Robert Nicholls at the University of Pittsburgh and Dr David Segal at the University of California. Dr Lalande’s team have identified a component of the switch off mechanism for silencing the PWS region on the maternal chromosome 15, a protein called ZNF274. They were successful in reactivating the PWS genes on the maternal chromosome by depleting and disrupting ZNF274 in PWS stem cells. However, ZNF274 also regulates other non-PWS genes, so interfering with ZNF274 can have unwanted consequences. Dr. Lalande’s group are now extending their work to develop a method that specifically disrupts the interaction of ZNF274 at the PWS region of the chromosome only, without affecting ZNF274 interactions with other regions of DNA. You can read more about this research here: “Therapeutic Potential of Blocking Zincfinger Protein 274 Binding To the PWS Locus.” and here. Dr Robert Nicholls is using similar CRISPR genome editing technology to Dr Lalande to reactivate the silent PWS region genes with a focus on developing an approach that would recruit the cellular factors in order to keep the PWS genes active to induce long-term, stable PWS gene activation. Dr David Segal is reconfiguring engineered proteins to activate rather than repress genes as they were originally designed to turn off the maternal PWS region genes as a method to treat Angelman syndrome. Dr Stefan Stamm at the University of Kentucky, known for his snoRNA work, and Dr Rudolph Leibel at Columbia University have been working in the field of genetic therapy to identify new therapeutic targets. Dr Leibel’s group were the first to generate hypothalamic PWS neurons (brain cells) in the lab and they have been investigating these neurons to understand how they function differently from typical neurons. Their work has led to a new understanding of the fundamental disruptions in PWS neurons and forms the basis for exploring new therapeutic targets that might correct the problems associated with PWS at a molecular biological level. These investigations have given rise to their breakthough discovery of PC1 deficiency. 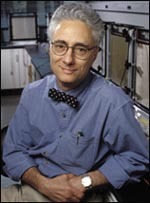 Dr Rudolph Leibel, international obesity expert and co-discoverer of the leptin gene. Drs Rudolph Leibel and Lisa Burnett made a breakthrough discovery that many of the neuro-hormonal abnormalities of PWS may be due to a deficiency of the enzyme prohormone covertase (PC1) in the brain. They discovered this by analysing PWS brain cells created using stem cell techniques. They also observed abnormally low levels of NHLH2, a protein which helps to produce PC1. To confirm whether PC1 deficiency plays a role in PWS, the researchers examined PWS mice (Snord116 deficient mice), finding them to be deficient in NHLH2 and PC1. As the function of PC1 is processing hormones and some of those are dysregulated in PWS (ghrelin, oxytocin, GHRH, and insulin), this discovery could be very important. Dr Burnett believes the findings strongly suggest PCSK1 (the gene which makes PC1) and PC1 are good therapeutic targets for PWS. She states, “There doesn’t seem to be anything wrong with the gene that makes PC1–it’s just not getting activated properly. 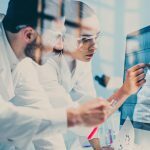 If we could elevate levels of PC1 using drugs, we might be able to alleviate some of the symptoms of the syndrome.” Following these findings, the Columbia research team began collaborating with Levo Therapeutics, a PWS-focused biotechnology company, to translate their research into therapeutics. Levo Therapeutics is a company formed by the parent of child with PWS, who also have the rights to develop Carbetocin (an Oxytocin-like drug in phase 3 trial) for PWS. You can read their press releases about PC1 on their website. On the basis of Dr Leibel’s findings, Dr. Deborah Good, a NHLH2 researcher at Virginia Tech, is now researching how SNORD116 (critical gene cluster missing or deleted in PWS) regulates the NHLH2 and PCSK1 genes in a new study funded by FPWR. This project is called The SNORD116-NHLH2 Pathway: Insights Into the Molecular Genetic Basis of Prader-Willi Syndrome. Weight loss drugs that are effective in the typical population have been found to have no effect in PWS. Developing a drug to treat hyperphagia in PWS has been a challenge for pharmaceutical companies, but there are several drugs in early clinical trial stages. Exenatide and Liraglutide are both GLP Receptor Agonists, with the latter in phase 3 trial. GLP-1 is a gut derived hormone which reduces food intake and causes weight loss due to slowed gastric emptying and through direct central effects. Exenatide had some success in reducing appetite but without significant weight loss. Liraglutide is being trialled at various sites worldwide, including the Liggins Institute in Auckland. Prof Paul Hofman is currently recruiting patients and says he has observed significant weight loss amongst patients. RM-493 / Setmelanotide is an MC4R agonist targeting the MC4 receptors which reside in the hypothalamus and promote satiety. (A defect in the MAGEL2 gene in PWS impairs POMC neurons which are key components of the MC4 pathway.) It is currently in phase 3 trial for other genetic obesity disorders following successful phase 2 trials. A trial involving patients with POMC-Deficiency, a very rare genetic form of obesity where patients also suffer from dysregulation of the hypothalamus resulting in intense hunger and weight issues, achieved positive results with regards to weight and hunger, as well as a marked improvement in insulin resistance. A phase 2 study involving PWS patients produced modest effects on reducing hyperphagia, but had no effect on weight, although there was some evidence of weight loss in the subset of patients treated at the highest dose level for the longest duration. Whilst Rhythm Pharmaceuticals is now focusing setmelanotide development on 6 other obesity disorders, they are also assessing opportunities to further evaluate it in PWS, which may be in parallel or in conjunction with their new acquisition, RM-853, a ghrelin o-acyltransferase (GOAT) inhibitor which is currently in preclinical development for PWS. AZP-531 / Livoletide by Alize Pharma, is an unacylated ghrelin analog which aims to target and inhibit the metabolic effects of abnormally high acylated ghrelin (‘hunger hormone’) levels seen in PWS. 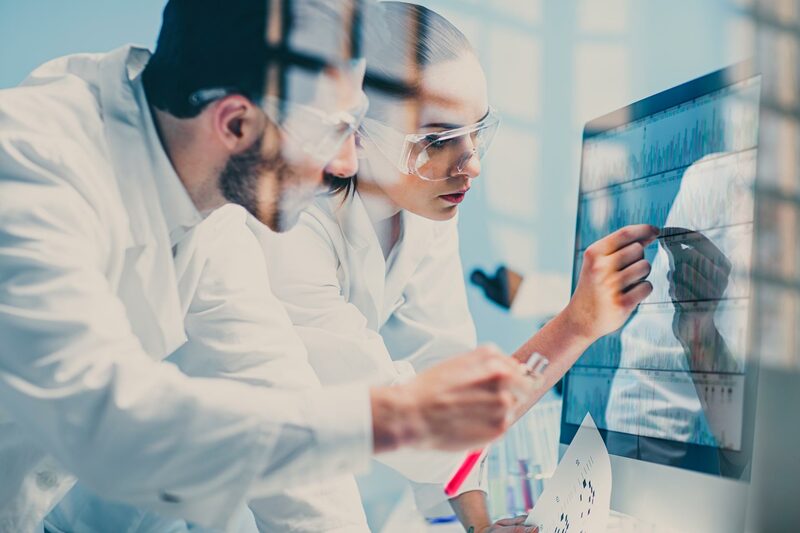 It is described as having very encouraging phase 2 trial results for reducing hyperphagia symptoms and will now be developed by Millendo Therapeutics in a phase 2b/3 trial beginning in 2019, with results expected in 2020. GLWL-01 by GLWL Research Inc. also targets elevated acylated ghrelin levels by decreasing AG levels circulating in plasma. It has been successfully tested in patients with type 2 diabetes and was found to reduce AG levels at doses of 150mg+ twice a day. Significant decreases have been observed with higher doses and in phase 2, GLWL-01 will now be tested in PWS at a dose of 450mg twice a day. The phase 2 trial is currently recruiting and will be tested in adolescents and adults 16yrs+ at multiple sites in the USA and Canada. Diazoxide-CCR (Diazoxide Choline Controlled Release / DCCR) is thought to affect leptin pathways and improve GABA signalling. (Leptin is a hormone that helps to regulate energy balance by inhibiting hunger and its pathway is thought to be disrupted in PWS.) The phase 2 trial results in PWS patients, presented here and here, observed a 35% improvement in hyperphagia with 4% reduction of body fat and about 5% increase in lean body mass, on average. There were also significant improvements in behaviours. In May 2018, Soleno Therapeutics (previously Essentialis) announced it is advancing DCCR into a phase 3 clinical development program. A phase 3 trial in approximately 100 patients is now underway (although still recruiting) and is expected to be complete in the first half of 2019. Click to view further Soleno press releases and presentations. Tesomet is being developed by Saniona who are recruiting for their phase 2a study taking place in the Czech Republic. Step 1 demonstrated clinically meaningful weight loss and a significant reduction in hyperphagia in adults with PWS, but it was also discovered that plasma levels of the dose in PWS patients was higher compared to normal obese subjects. Therefore, a lower dose was recommended for adolescent PWS patients. Step 2 is testing Tesomet in adolescents at lower dose and was initially completed in January 2019, but a press release explains that a 24 week extension study has been initiated to obtain longer-term treatment data and now at a slightly higher dose for efficacy. CBD oral solution (Cannabidoil) is thought to suppress appetite and reduce anxiety. A previous study in Magel2-null mice has demonstrated that treatment with a CB1R antagonist may be an effective strategy for the management of severe obesity in PWS. A cannabidoil oral solution is being developed for PWS by INSYS Therapeutics and a phase 2 study is planned which will examine its effect on hyperphagia-related behaviour – currently recruiting. 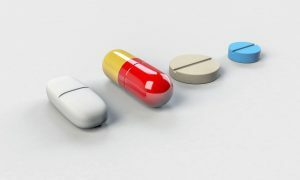 Beloranib and ZGN-1258 – Beloranib, one of the drugs showing the most encouraging results so far, was halted from further development after 2 trial participants sadly and unexpectedly died from blood clots in the lungs during its phase 3 trial. Zafgen, the company who were developing Beloranib, have since worked to develop other MetAP2 inhibitors which should not cause the same thrombosis risk. MetAP2 inhibitors have other uses, but when indicated for obesity, they work to re-establish balance to the ways the body metabolises fat. In January 2018, Zafgen announced the selection of ZGN-1258 as their new development candidate for PWS. ZGN-1258 is currently in preclinical development phase with promising initial results demonstrating positive effects on appetite, weight and behaviour in various mouse models of hyperphagia, obesity and PWS-like characteristics. Oxytocin hormone treatment and Carbetocin, an oxytocin-like treatment, are also having positive effects on hyperphagia – read more by clicking the Oxytocin tab above. 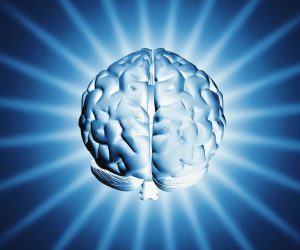 An alternative to using drugs as therapeutics is the use of devices to stimulate brain activity in specific regions. Two approaches experiencing notable early success are transcranial direct current stimulation (tDCS) and vagus nerve stimulation (VNS). tDCS has been used for treating depression and other mental health conditions with external electrodes transmitting a weak electrical current into the pre-frontal cortex area of the brain. Preliminary data in 5 adults with PWS showed some reduction in hyperphagia symptoms so Dr Merlin Butler and his team at Kansas University conducted a further study involving 10 adults with PWS, plus obese and healthy weight controls. Positive results were seen so Dr Butler is now collaborating with Harvard University to continue an expanded study to further determine if tDCS improves food cravings and overeating in adults with PWS. The project will enroll 40 adults with PWS and a variety of measures will be used from hyperphagia questionnaires to tracking eye movements and measuring brain wave activity. tDCS may be an effective, non-invasive and cost-effective therapy for food behaviour in PWS. Dr. Tony Holland and his team at the University of Cambridge have been using a slightly more invasive approach with a device requiring surgical implantation. Once inserted, the device can be turned on and off by an external control. Their preliminary study of 3 patients suggests improvements to maladaptive behaviours, temperament and social functioning. Dr Holland and his team are conducting a larger follow up proof of concept study with external (rather than surgically implanted) vagus nerve stimulators which have since become available in the UK. Lara Pullen, PhD immunologist and freelance medical writer interested in systems biology, particularly the intersection of the immune, nervous, and endocrine systems. “While originally identified as a key immunological molecule in the allergic response of humans, histamine is actually an evolutionarily-primitive molecule that plays many fundamental roles across many animal phyla. Humans possess four histamine receptor subtypes: histamine 1 receptor (H1R) through the histamine 4 receptor (H4R). The H3R drew our attention because it appears to achieve its homeostatic function via regulation of the release of various neurotransmitters including serotonin, acetylcholine, and dopamine. If H3R were a critical receptor in the pathophysiology of PWS, this would explain why it has, to date, been difficult to identify a satisfying single genetic cause for PWS. While the role of the H3R has not yet been studied in PWS, research has revealed dysfunction in neurotransmission in patients with PWS. Specifically, the serotonergic system and, possibly the dopamine system, appear to be compromised in individuals with PWS. Dopamine is also known to play an important role in feeding and satiety. We note that the neurotransmitters that are dysregulated in individuals with PWS are those that are regulated by the H3R. The histamine h3 receptor is located in the brain and gut, and is known to regulate not only sleep/wake states, but also hunger, cognition, and movement, all of which are debilitating problems for patients with PWS. Since the H3R is able to modulate other neurotransmitters, H3R ligands are being investigated for the treatment of various conditions and there are multiple H3R inverse agonists/antagonists in development. Multiple studies lend credence to the neuroprotective effects of this class of pharmaceuticals. The H3R inverse agonist pitolisant is newly approved in the European Union for the treatment of the rare sleep disorders of narcolepsy and cataplexy.